Although Casa Carolina is a beautiful place to relax and enjoy the day, you will probably want to go out and explore Santa Marta! There are many tours and activities in Santa Marta, we have compiled our favourite things to see and do. 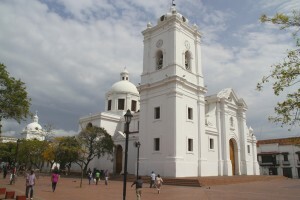 Historic Centre – Santa Marta is the oldest remaining city in Colombia, founded in 1525. 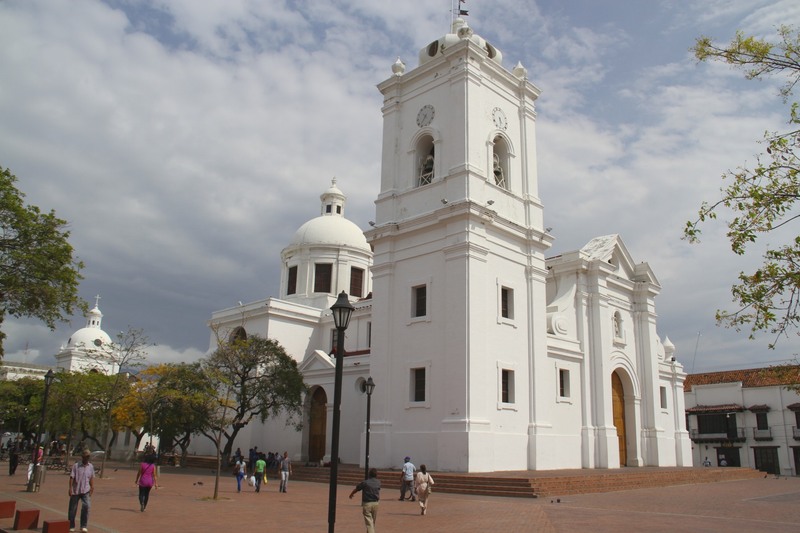 It has a beautiful cathedral built in 1766 and the Magdalena University which was founded in 1871. 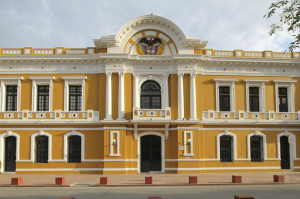 The city centre boasts colonial and republican architecture. The sea front is a great place to catch up with the locals and is lively day and night. The promenade stretches some 700m from the small working port at the north to the international marina at the south, completed in 2011. Enjoy an evening cocktail here and watch the sun set over the Caribbean. 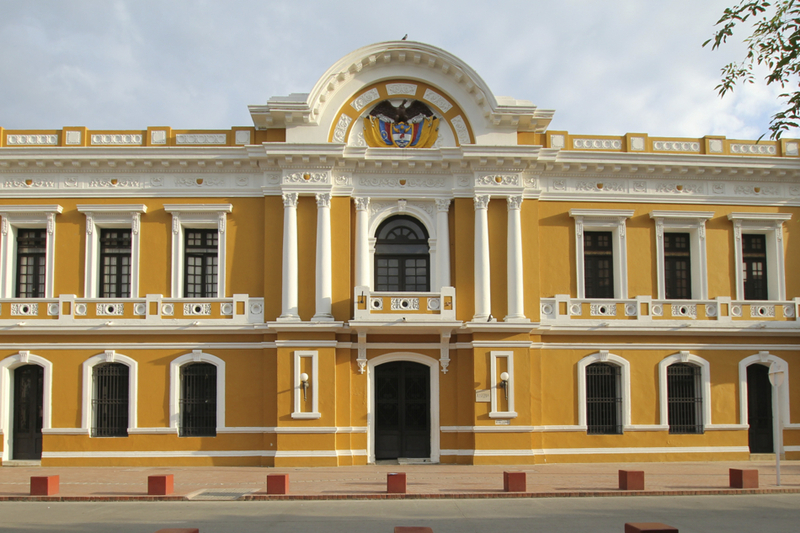 Museums – Santa Marta has a growing number of museums, thanks in part to the University of Magdalena. Museo de Oro Tairona. Here the origins of the Tairona are explained and some of their artifacts shown. The Museo del Oro is now at its permanent home in the newly renovated and spectacular Casa de la Aduana, Carrera 2 con Calle 14. Entry is free. Museo de Arte. Three galleries of regional and national artists, Carrera 2 16-44. Museo Etnográfico de la Universidad del Magdalena (MEUM). A history of the peple of Santa Marta and the Sierra Nevada from when the city was founded, including the effects of armed conflicts on the indigenous nations of the mountains. Carrera 1, corner of Calle 22. Sports and Alternative Ideas – Colombia is known to speak the ‘cleanest’ Castillano of all the Spanish-speaking countries. Let us know if you are interested in language classes. We can also organise cooking courses, salsa classes, or anything else you can think of. 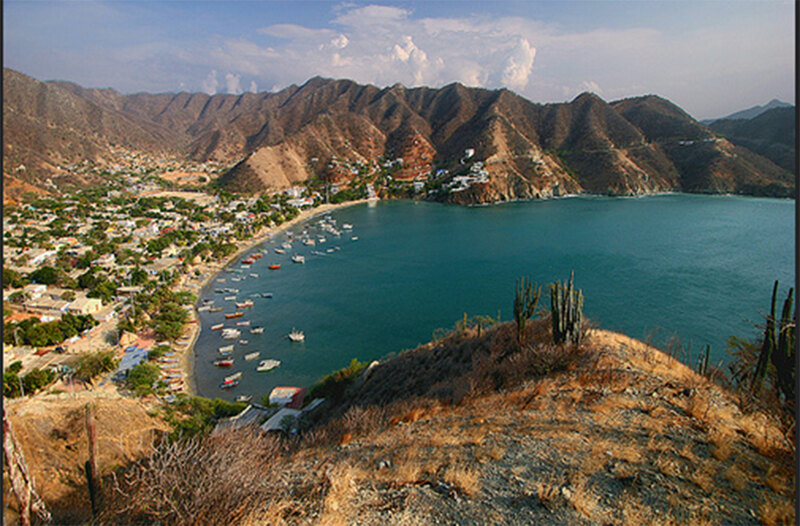 Sports available in and around Santa Marta include horse riding, scuba diving, surfing, mountain biking, hiking and climbing, paragliding, and a multitude of other activities. Please just let us know in advance and we will be happy to help out. Taganga – A 10 minute car (or 25 minutes public bus) ride to the North lies the pretty little fishing village of Taganga with its small bars and beach restaurants, with great views towards the Sierra Nevada. Popular with packpackers it’s well worth a trip for its pleasant pebble beach, scuba-diving tours, or for some locally caught fresh fish. 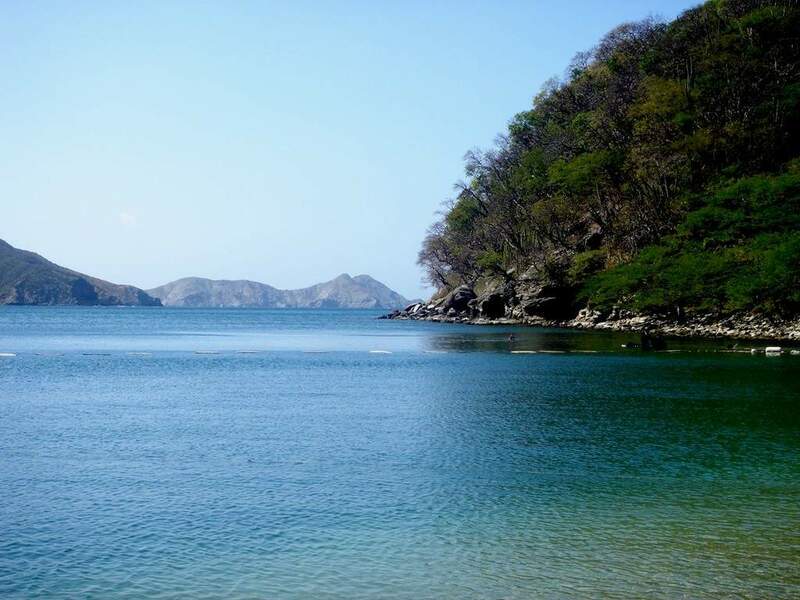 From Taganda a larger sandy beach, Playa Grande, is accessible by a 20 minute coastal walk or a 5 minute boat ride. Rodadero – A 10 minute car ride (or 20 minutes bus) to the South you will find Rodadero with a vast choice of larger nightclubs which are packed with Colombian tourists in the peak season. As the sun sets, this calm white sandy bay gives way to live Vallanato musicians, street food and drinks, and a party atmosphere with entire families dancing into the small hours – all days of the week. From Rodadero a 15 minute boat ride takes you to Playa Blanca, offering crystalline waters and more white sand. Rodadero has a small children’s water-park, aquarium and water museum. 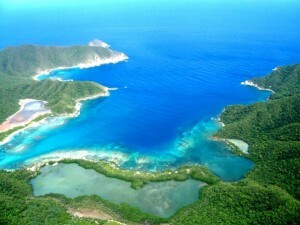 Bahía Concha – A beautifully unspoilt and calm bay with a long white sandy beach and few visitors. Only 30 minutes from Santa Marta by car this is a great place to unwind for an afternoon. There is a small entrance fee to get access to the beach ($3/person, $14/carload). Despite it’s more secluded location, fresh fish lunches, camping and refreshments are all available at very reasonable prices. Quinta de San Pedro Alejandrino – The last home of Simon Bolivar, built in the 17th Century is just 10 minutes from Santa Marta with the house/museum, garden and art gallery open to the public. The botanical gardens are fantastic and tours by local students are available in many languages. Well worth a visit. 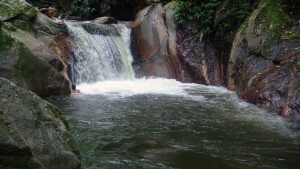 Quebrada Valencia – A majestic waterfall emerging in the middle of the rain forest with dozens of natural swimming pools and jumping rocks. Located close to Costeño Beach with its Surf Camp and Eco-lodge. An hour by taxi or bus plus a short walk. Mamancana Natural Reserve – A wildlife reserve and a venue for practising extreme sports such as paragliding, downhill mountain biking and rock climbing. 30 minutes from Santa Marta by taxi and slightly up into the hills. Aracataca – The birthplace of Garcia Marquez, just an hour and a half south of Santa Marta you can visit his home village, which now features a museum to his honour, and several monuments to characters from his ‘imaginary town’ Macondo. Tayrona National Park and the Sierra Nevada – One of the best-known attractions in Colombia, 40 minutes north of Santa Marta, it is the country’s most important ecological reserve. Tayrona offers everything from camping zones at $10 a night to highly luxurious beach houses. Tayrona’s virgin beaches and tropical forests are completely unspoiled and truly world class. The park also has its own archeological site, Pueblito (also known as Cahirama); one of the 200 pre-Columbian cities discovered near Sierra Nevada de Santa Marta. Tours to the Ciudad Perdida (Lost City) and around the Sierra Nevada (5700m peak, world’s highest ocean mountains) are also possible. 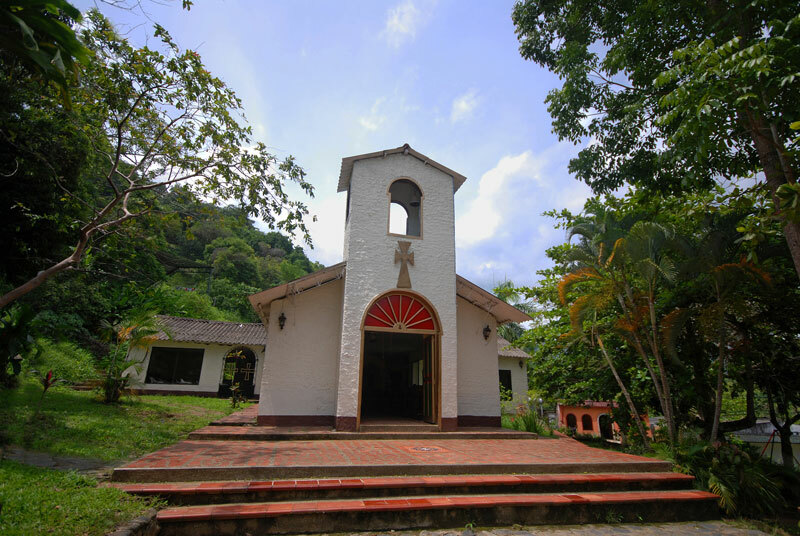 Minca – 40 minutes from Santa Marta, Minca rises 660 metres above sea level into the Sierra Nevada mountains, and offers a precious escape from the tropical heat. It makes an ideal day trip from Santa Marta with a trek through the rainforest and plenty of options for lunch. You can swim at the base of a raging waterfall and take a tour of an organic, hydroelectric coffee farm that’s been operating continuously for almost two centuries. 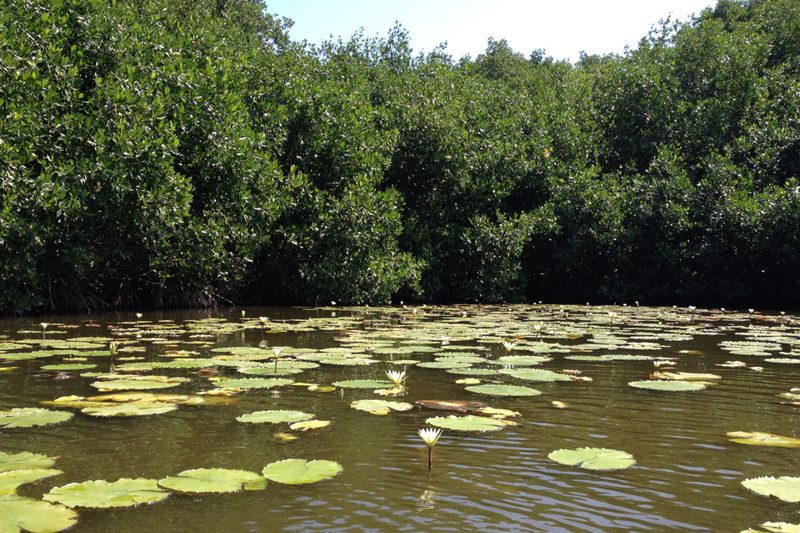 Isla de Salamanca – 90 minutes from Santa Marta and just before Barranquilla, Isla de Salamanca offers an exquisite visit to totally unspoilt and almost unvisited mangrove swamps. 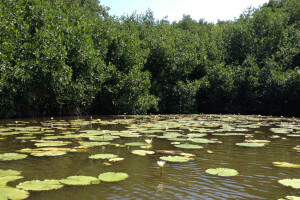 Visit by foot or with a guided gondola tour, the peace and quite and nature are unforgettable. The return taxi costs 200,000 pesos with a private punt tour for 120,000 pesos.